We are happy to announce that PreSeries is accepting Beta requests on March 15. 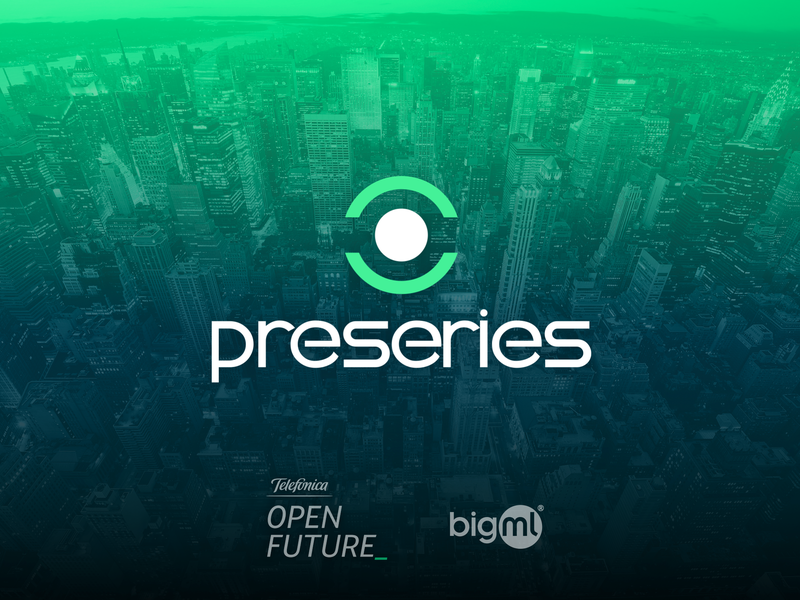 BigML and Telefónica Open Future_ have joined forces to create PreSeries, which is a Predictive Application that can foresee whether a startup will become successful or not at a very early stage of its evolution. This partnership combines Telefónica’s expertise and experience in the field of institutional investments with BigML’s leading Machine Learning platform that helps systematically automate the decision making process. It is a well known fact that a great majority of successful startups need funding to build viable products, find the right market fit and achieve growth through investments in marketing and sales. Unfortunately, most investors have not shown the aptitude to identify diamonds in the rough at earlier stages of this evolution despite decades long investment track records. A good example of this phenomenon is Airbnb. Its founders got rejected seven times in one week while trying to raise $150k in exchange for 10% of the company in its early days. In hindsight, those shares would have been valued in the billions today. Enough to meet and exceed the return goals of any venture capital portfolio. The fear of failure feeding herd behavior have resulted in more sameness among traditional venture investors, which has given way to the rise of opposing approaches such as crowdfunding sites e.g., Kickstarter, IndieGoGo. As great as crowdfunding is in providing alternative early stage investment schemes, it fails to properly capitalize on the proliferation of data on the activities of such startups that can very well complement human judgement. PreSeries fills this gap by collecting and organizing vast amounts of public, paid and private domain information on the actors of the startup ecosystem and by applying its proprietary algorithms run on its auto-scalable cloud computing infrastructure. This yields brand new patterns competitive with highly biased expert intuition that has traditionally driven investment decisions. Catalyst Fund, an innovative fund for inclusive fintech startups, is the first PreSeries client. The fund is managed by BFA (Bankable Frontier Associates), sponsored by Rockefeller Philanthropy Advisors and supported by the Bill & Melinda Gates Foundation and JPMorgan Chase & Co. Catalyst Fund will be utilizing PreSeries to study and select very early stage startups for its FinTech portfolio. PreSeries will formally be announced at PAPIs Connect 2016, Europe’s 1st Artificial Intelligence conference for decision makers, managers, and app developers. This year’s program includes a unique, first in history startup battle segment, where the winner will be chosen solely by the PreSeries algorithm without any human intervention. The event taking place in Valencia, Spain will also be attended by Vicent Soler Marco, Counselor of Treasury and Economic Model, who will be doing the closing speech as a symbol of the local authorities’ support for the growing technology ecosystem in the region.